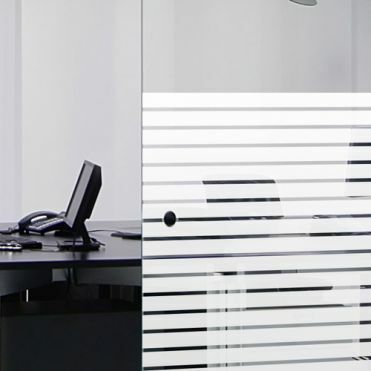 Made to measure window film patterns designed for glass partitions or windows in offices. 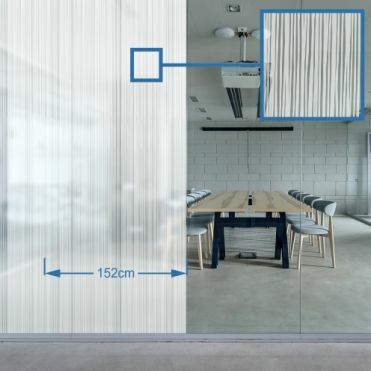 Ideal for adding privacy and a decorative touch, and can also act as glass safety manifestation to comply with building regulations. Custom design service available. Iconic London landmarks printed on film. Many designs available by the metre at 1m wide. Stock film available by the metre at 1.52m wide. Supply your own design, or we create your own. Made to measure to suit your exact requirements. 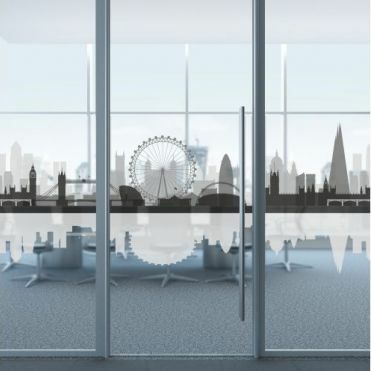 Ideal for office glass walls and partitions, our graphics are contemporary and created with industry and commerce in mind. 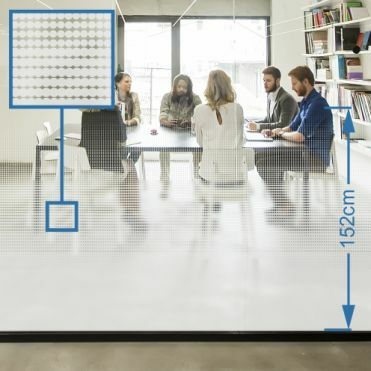 They can be used for privacy and can also act as glass manifestation to help comply with building regulations. For custom printing service, please contact us with a few details regarding the work and a member of our team will get back to you. 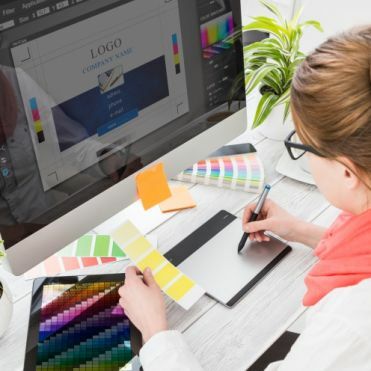 We digitally print your chosen design to the measurements you submit. 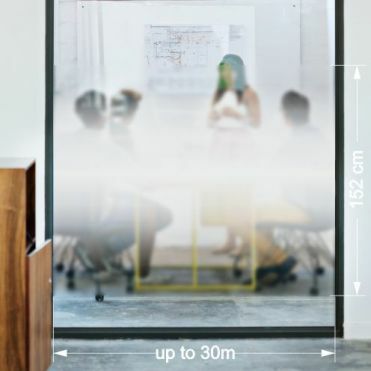 Selecting the transparent option will give you partial vision out of your window during the day whilst maintaining complete privacy from outside. We print the design on a transparent film which means some areas are left clear. At night, when the lights are on the privacy will be compromised. Is the patterned glass film applied internally or externally? How easy is the patterned film to clean?